Trying to learn how to use iMovie? We’re glad to help! Here is an easy 4 step screenshot breakdown to get you started in less than 5 minutes. When you first launch iMovie, you will see this screen (screenshot below). This will allow you to start a new “Project”. Think of your “Project” as the video that you are trying to create. Whatever you plan on calling your video, that’s what you will call this iMovie Project Name. iMovie also allows you to choose the “Aspect Ratio” of your video. For the aspect ratio, make sure to choose Widescreen (16:9). This is the official standard aspect ratio and will make your final product look best on widescreen HD TV’s. We highly encourage you to download the “How to Use iMovie- Tutorial Guide” 4-Step Checklist. 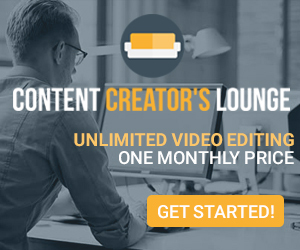 It will help you speed up the editing process for every one of your videos. The themes that iMovie offers are interesting. Each one is like an animated video template giving your video a style or particular flavor that you’re trying to convey to the viewer. We suggest playing with themes by choosing one that interests you the most. The “Automatically Add Transitions and Slides” is a good option if you are trying to create a slideshow. But if you’re creating a video, it’s best NOT to use this option. We advise not to use this because turning it off is a manual process which can be tedious and time consuming. iMovie likes to have all of its footage imported directly into the program so that it can manage all of the media in the background. From here, you will choose the video files that you would like to import into iMovie using the Finder window. Once you’ve got your clips loaded into the iMovie project database, select which clips you would like to add into your video. Next, click on those clips, drag, and drop it into the timeline above. What you are doing is building a video “timeline” that lets you cut from one video clip to the next whenever you want. And that’s how you build your video inside of the iMovie interface! Please let us know if you have any questions or tutorial requests in the comments section below! We’re always here to help out iMovie users like you. Make sure to check out our tutorial on how to turn on hidden advanced features in iMovie. Love the simplicity of your explanations. And your screenshots are perfect! Would you mind expanding on information about each toolbar feature and what they do? I’m having trouble understanding the functionalities of all of them. I want to begin my movie again, and delete what I have done so currently but I do not want my original video pictures erased. I just want to start over. Great question. Thankfully, iMovie is a “non-destructive” video editor. That means that no matter what you do in the software, it keeps your ORIGINAL video files unharmed and unchanged. 5) Now, click on the folder that resembles your iMovie project. 6) Click on the “Original Media” folder. 7) Now, drag and drop these video files back into a new iMovie project and you’re good to go. Hope that helps! Please let us know this solution works out for you. Is there an updated version of this presentation? The screen shots seem to be from a much older program than is on my machine. Also, I’m trying to take single images and convert them to a time lapse “movie”. Any tutorials on how that is done? can you add special effects? DreamSync is a simpler audio video sync software tool. Our software allows easy audio video synchronization in 1 click! Copyright 2018 DreamSync by Pixelynx Labs & Acosta Productions, LLC | All Rights Reserved | Advertise with Us.